How one player made a 1,600% return playing ZED. Blink and you will miss how big dApps will be in 2019. Blockchain dApps have really flown under the radar over the last 18 months. Technology journalists and the like have been quick to dismiss the impact that blockchain gaming dApps are having on the whole decentralised ecosystem. To date, advocates of blockchain have been laser focused on discussing different protocols, stable coins, security measures and transactions speeds in an attempt to get ‘outsiders’ excited about the benefits of a trustless world. In fact, all this technical talk about the fundamentals of blockchain is quite frankly, boring. I am not dismissing the importance of what a technological breakthrough blockchain is, however, what is needed in order to achieve mass adoption of this new technology is to onboard people through products and platforms they care about and or products that they perceive as entertaining. Any new technology needs to be supported by great applications, bar none. The Nokia 5110 is a great example of this. 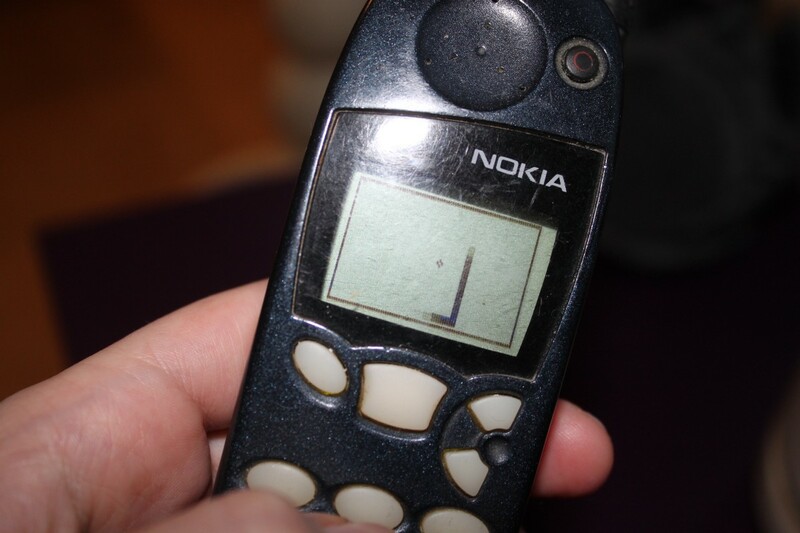 The humble ‘snake’ application was all the rage and motivated consumers all over the world to get their hands on this device, thanks in small part to this addictive game. Even the success of the original Playstation was largely due to its ability to deliver software exclusives like Gran Turismo, Metal Gear Solid and Resident Evil that you could not play anywhere else. Whilst on gaming consoles, even the most advanced and powerful pieces of hardware of their time does not necessarily translate into mass adoption if it is not well supported by software; who remembers the Sega Saturn? Yeah, no one. Powerful hardware sometimes equates to zero adoption. Our last story explained the benefits of why games that live on the blockchain grants users the ability to trade digital assets in an open and free market. 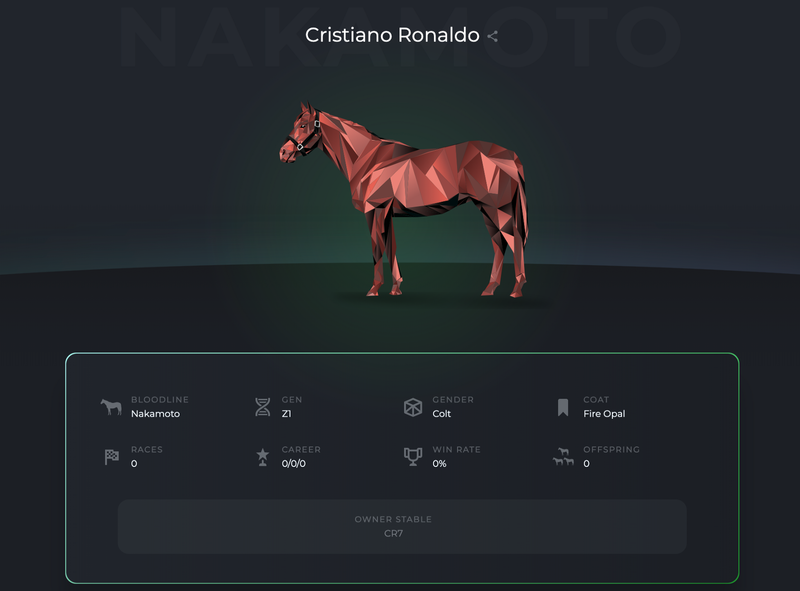 Within 24 hours of posting that article, one player in ZED made a remarkable return of 16.5x on a single racehorse named, Cristiano Ronaldo. The original value of the racehorse was a mere 0.4 ETH, or at the time ~$60 USD, which was sold on the OpenSea marketplace for an incredible 7 ETH (~$1,170 USD); profiting over $1,100 USD in a matter of weeks. What made Cristiano Ronaldo so special other than his dashing good looks you may ask? Good question. It may have been the name it associated with the racehorse itself, the colour, the breed type, the bloodline or even the gender. What is indisputable however, is that the inherit nature of anything collectible (whether it is digital or physical in nature) is that it has the capacity to mean something to someone. The inherit nature of anything collectible is that it has the capacity to mean something to someone. Unlike dApps, traditional games are designed in a way to lock up all in-game economics. Everything you purchase in-game remains within the walls on that particular game, granting you zero real-world ownership of the digital items you have paid or worked hard for. Conversely, dApps revolve around a decentralised market which enforces and preserves true digital ownership. What makes ZED racehorses unique? ZED is an evolving horse racing platform that aims to deliver an exciting thoroughbred ecosystem of buying, selling, breeding and racing. During the early release of ZED, there are four(4) key factors in which users used to determine their purchase. Bloodline refers to the genetic makeup of a racehorse that is passed down from the mother (dam) and father (sire). Certain bloodlines inherent qualities that other bloodlines do not. The more sought after the racehorses bloodline is, the greater the chance of success it will have on the racetrack and the more valuable it will be perceived by others. Genotype is used to determine how far an offspring is away from its ancestors. The closer your racehorse is to their ancestors, the more valuable it will be as it retains a higher degree of purity. As the ZED community grows, purity of racehorses will be hard to maintain as breeding becomes mainstream thereby adding more value to the early release racehorses currently being sold. The colour of your racehorse also plays an important part in terms of how collectible it will be. Some colours are more rare than others and some colours are more difficult to breed than others; adding another layer of strategy when making a purchase. Although this has not played a significant part in ZED yet, given that all names are unique (names are by and large unique in ZED, other than a handful of twins), as more and more users join and play ZED, there will be some who play ZED purely for the collectible aspect where the name of their racehorse will certainly dictate their purchasing decisions. 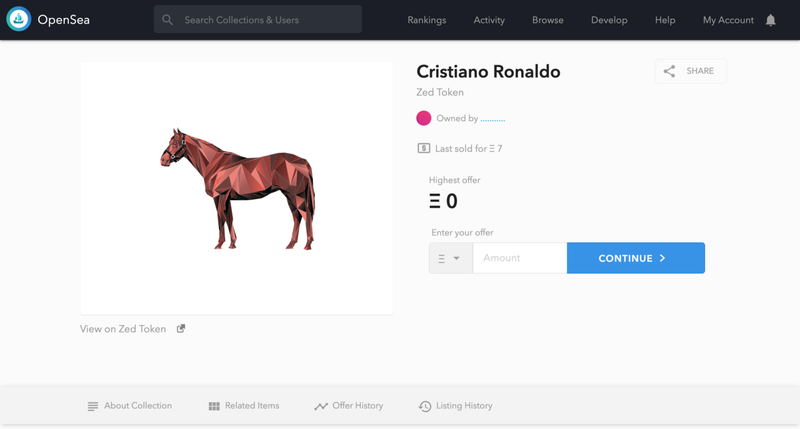 Head over to www.zed.run to buy your very own digital thoroughbred or join our Discord community for more information. Join the ZED Run Discord Server! 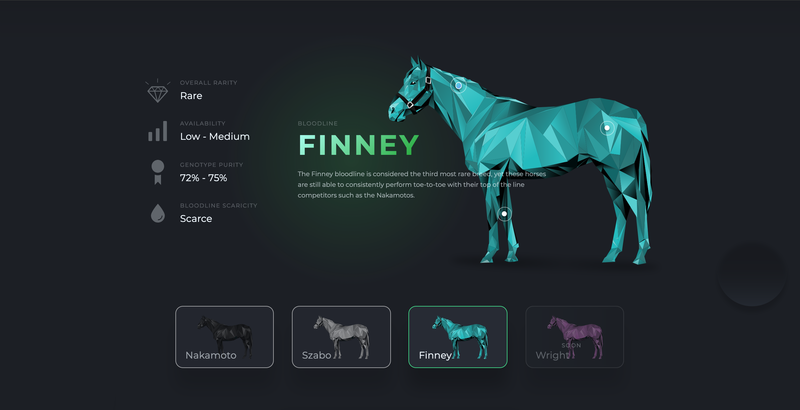 Buy, breed, race and create a legacy with your very own stable of digital thoroughbreds on the blockchain.